Map of Lands Owned by Pullman Land Association and Pullman's Palace Car Co.
Map on coated linen showing lands owned by Pullman. Probably early 1880's. Stamped "Pullman Company Engineers Office. File No. 1, Drawing No. 66. Undated. 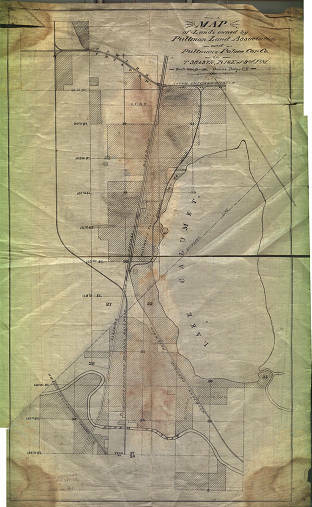 Title Map of Lands Owned by Pullman Land Association and Pullman's Palace Car Co. 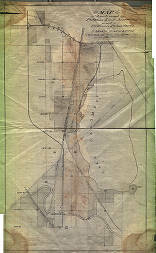 Description Map on coated linen showing lands owned by Pullman. Probably early 1880's. Stamped "Pullman Company Engineers Office. File No. 1, Drawing No. 66. Undated.